April is Tornado Awareness Month. Although tornadoes can occur at any time of the year, they are most common between March and September. 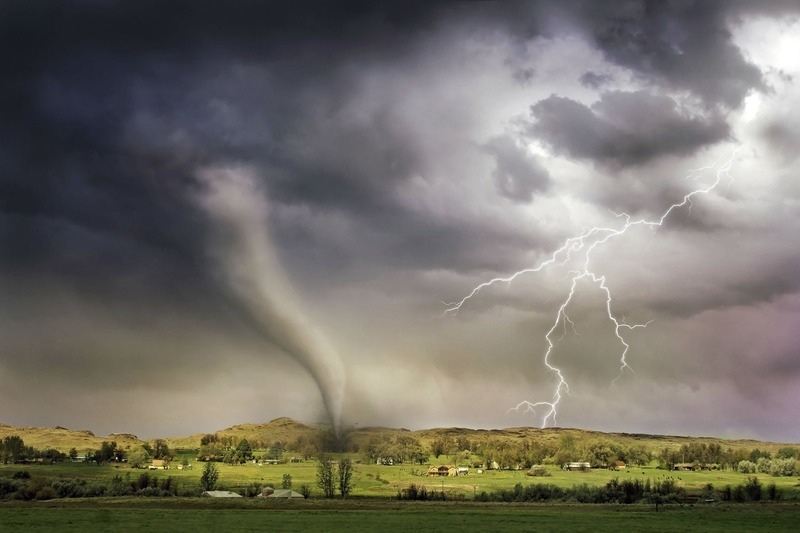 Tornadoes can strike at any time of the day or night. Even though they are most common in the Great Plains region, tornadoes can occur in other places. If you hear or read about a tornado watch that means that conditions are favorable for the formation of tornadoes. Pay attention to local weather forecasts to get updates and be prepared to take action if necessary. A tornado warning means that a tornado has already formed and has been seen or detected by radar. Seek shelter quickly and to stay there until the danger has passed. Go to a basement or an interior room. Avoid exterior rooms and areas with windows. Even if a tornado doesn’t directly hit your community, strong winds can cause damage to your home that may result in injuries. Make a plan so you and your family will know what to do should a tornado strike. Discuss where to meet and how to contact each other if you are not together when a tornado hits. Designate a location for everyone to assemble and make sure all family members know how to get there. Have your children memorize your phone number, as well as the phone number of a relative who doesn’t live nearby, in case residents are unable to make local phone calls after a tornado. Talk to your kids about what to do if a tornado occurs while they are at school and ask their teachers or principals about tornado preparedness plans and drills. If a tornado causes widespread devastation, you could be stuck in your damaged home for days or weeks, and people might be injured. Stock up on emergency food and water, as well as a battery-powered radio, flashlights, sanitation supplies, and first aid kits. It’s also a good idea to keep an emergency kit in your car in case you get stranded away from home. Make sure you have any other items that might be needed for specific family members, such as diapers, baby food and formula, and medication, as well as any necessary pet supplies. Tornado Awareness Month is the perfect time to assemble a kit with essentials that can help you survive a tornado or any other type of natural disaster that might occur.1st Aid Supplies offers a wide array of supplies that can help you and your family stay safe and healthy if a tornado strikes. Place your order today.